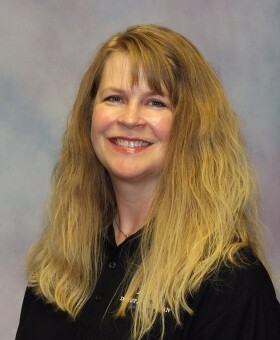 Dr. Diana Goldammer, director of student life, has been with Dakota Wesleyan since 2006. She began as the public relations specialist and took the student life director’s position in 2009. She has a Bachelor of Arts degree from Augustana University, a Master of Arts degree from Jones International University, and an Education Doctorate from Walden University. Goldammer is a student advocate, LearnStrong instructor, assists with career services, and supervises the student life department. She is the staff adviser for Student Senate.